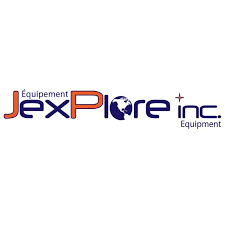 JexPlore Inc. Equipment is a company specializing in the sale and leasing of goods and equipment for exploration drilling. It also specializes in the sale of environmental products. The company is a reference in several sectors: industrial, mining and civil; offering products and advice for achieving your larger projects. Equipment North develops, rents, sells and commissions mobile material handling solutions for underground mines. With full-service branches in Sudbury and Timmins, Equipment North is a short drive from upwards of 30 operating underground mines as well as the region’s host of smelters, refineries and mills. From conception through production and aftermarket service, our technical team work in conjunction with industry experts to ensure that our products exceed the demands and expectations of the people who use them. All of Equipment North’s products are developed and tested in operating hardrock mines. For 25 years, our Miner forklifts, Minerscopic telehandlers, shotcreting solutions and other products have been staples in mines across North America. We have extensive experience sourcing, customizing and supplying all types of surface equipment for use underground. With a fleet of over 500 pieces of mobile equipment, including excavators, loaders, aerial work platforms, scissorlifts, welders, compressors and generators, our goal is to ensure our mining customers get the right equipment when they need it, and where they need it—even if that’s on 7200 Level. We pride ourselves on our ability to build relationships with our customers—understanding their work environments and needs. 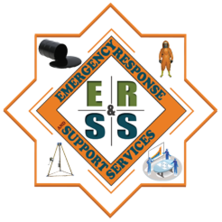 This understanding allows us to work with them to find equipment solutions for unusual and challenging situations. We are on-call 24/7, and ready to respond when you need us. Equipment World has been providing great service and great value to the mining industry in Northern Ontario since 1973. We procure, sell, rent and service material handling equipment for the mining industry in Northern Ontario. We have full-service facilities in Sudbury, Sault Ste. Marie and Thunder Bay to give our customers the opportunity to see the various products and discuss specific requirements at a local level. These three locations also have complete service departments with mobile mechanics to keep your equipment performing at its peak efficiency. However, we are much more than equipment. We can also supply and install lockers, workstations, cabinets and shelving, pallet racking, mine dry baskets, toilet partitions, operable panels and many more construction specialties. We’ve got the north covered! 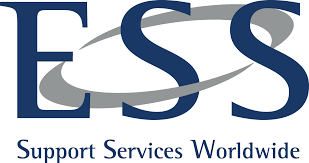 ESS provides a comprehensive range of remote camp services and has the proven capability and experience to deliver continuous, uninterrupted support services to your project.